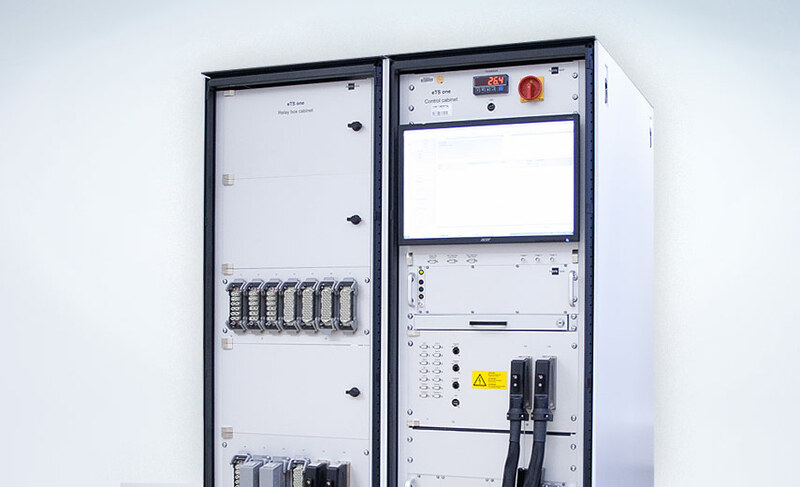 The eTS one of INSYS test is an innovative, modular test system for the electrical test of ECUs as per LV 124 standard. The eTS one meets all requirements of the standard LV124. All E-tests can be executed fully automated, individually or completely and in any desired order. Monitoring or analysis of all DUT signals can be made in real-time. An integrated switch matrix allows to apply various failure conditions (short circuit, open load, etc.) to the component to be tested. It is possible to connect additional system components (e.g. 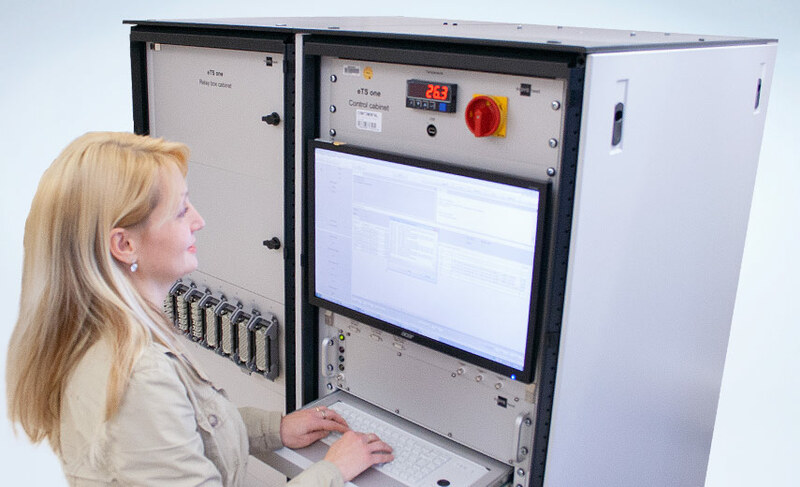 power fail simulator, fast interrupter) externally to ensure the requirements for all E-tests of the standard. Moreover, eTS one provides a stimulation unit that can supply both, analogue and digital (static or frequency) inputs. The test sequences are designed in such a way that a function or parameter test will be executed between the individual E-tests while the query and check of important key parameters is being performed. The parameters contained can be adjusted project-specific. The eTS one stands out due to an easy and intuitive operation. All E-tests belonging to the standard LV 124 can be selected individually and added to a desired test sequence. This allows a test sequence that can be configured and adjusted by the customer. An adaptation of the system to other standards and other DUTs is also possible. Executed tests and their order can be selected freely.